12 leaves ; 30 cm. Capital is Marx's most important achievement and publication. While this is true, he also prioritized the analysis of pre-capitalistic modes of production and left a note on this work. This note was found in 1939 in the Soviet Union and subsequently published as the title of Pre-Capitalistic Economic Formations. In this note, we can find numerous new (at that time) academic contents. This implies that Marx was devoted to study the newest archaeological and historical findings. He believed that these researches, as well as the content of Volumes 2 and 3 of Capital, are very important. Therefore, "Marxian economics" should also be updated with associated archaeological and historical scientific knowledge in the twenty-first century, and we should update our understanding of pre-capitalistic economic systems. 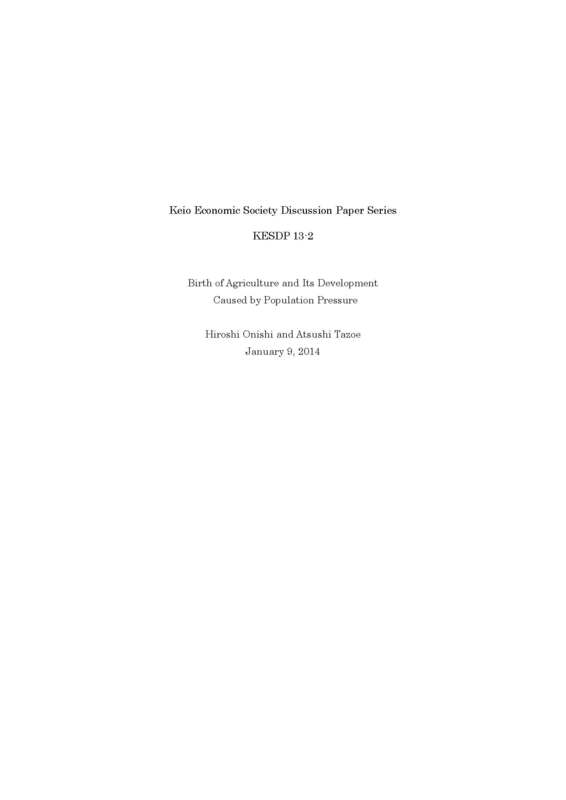 For this purpose, here, we want to provide a clear definition of agricultural society including slavery system and serfdom using Boserup's theory of population pressure.